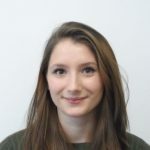 I’m a digital marketing apprentice at the UK Space Agency. My usual day ranges from creating graphics and gifs for social media, to filming videos, designing exhibition stands and everything in-between. From a young age I was always interested in science and space. I discovered that the headquarters of the UK Space Agency is in my home town, Swindon, and from then on it was my career goal to work there. As I got older my career path diverted to marketing, which I started to study further at university, although I soon found out it was not for me. An apprenticeship seemed like the next best step. I have always valued education, but I had also realised that working on the job is the most valuable way to learn. The UK Space Agency was my most searched organisation on the government apprenticeship website and, luckily, my patience paid off. A job that allowed me to be in the sector that I love but also to be creative, have my own ideas and see them come to life. During my time at the UK Space Agency I have done some cool things, like meeting astronauts, watching tests being conducted on the ExoMars rover and seeing new images of space. But I think the best thing I’ve done is to have an impact. In my role I can have the say on how things are designed and published, which I never thought I’d be doing this early in my career. 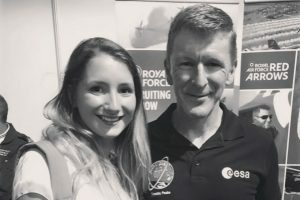 This allows me to have a great influence on how people see my organisation – and for someone who has grown up following the UK Space Agency, it gives me a great amount of fulfilment to be able to promote the agency and get more people interested in what I love so much. For any women who aspire to work in this sector, just go for it ! Check out the jobs available, do some research into the topics. There are so many interesting jobs out there, and they will keep popping up due to the growth of the sector and new developments. I never thought for a minute I could transfer my creative skills into a science-based sector but here I am and it’s the best job I could ever ask for. 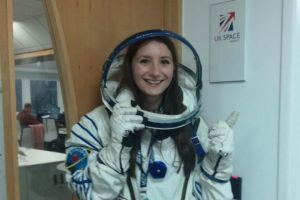 The UK Space Agency has joined a campaign to encourage more girls to study science, technology, engineering and maths (STEM) and consider careers in space. You can read more about the campaign here. 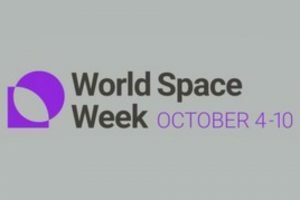 World Space Week 2018, 4-10 October, celebrates the role of space in bringing the world closer together. 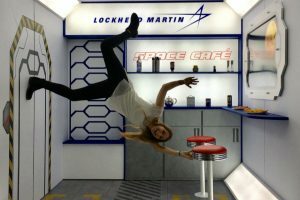 The UK Space Agency’s 'Space for Smarter Government' programme is an example of how the Government is exploiting the power of technology and data to deliver world-class services. This programme aims to demonstrate the potential of using satellite technology to solve challenges faced by the public sector. This is part of the SmarterGov campaign to drive innovation, savings and public service improvement across government and the wider public sector. What a brilliant story! To infinity and beyond, Robyn! Thank you Stacey! Always reaching for the stars! I read that story with a smile on my face. Awesome story Robyn! Thank you Wayne, really glad you enjoyed it! Brilliant impact!....a truly inspiring story. This story should be shared beyond the DWP. Where there is a will, there is a way. Good one Robyn! I mean, this story should be shared beyond the Civil Service. Thank you so much Ife! You have to keep trying till you succeed!